Thanks so much for sharing your mission! Thanks for your comment, and I'm sorry to hear about your recent losses. I'm glad you have animal companions to comfort you. I don't know where I'd be today if it weren't for my cats. They keep me centered and they can make me laugh when nothing else can. 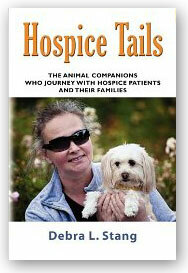 It was no surprise to me that animals had such a profound effect on the lives of hospice patients! Thanks slb3334. I hope you get a chance to read it and enjoy it! I know how healing animals can be. My dog and my "grand-cat" (originally my daughter's) provide me with lots of comfort. I am glad to see WOW supporting the author of such a relevant book. Being a freelance writer for 5 years, I can relate to your decision to do what you have always wanted to do, Debra. I also can relate to writing about animals. Hi Lisa - Thanks for stopping by and good luck! Hi Suzy - I really appreciate your kind words of encouragement. I had to laugh when I read your post. My mom refers to my cats as her "grandcats" as well! I'll have to let her know she's not the only one. This sounds like a really fascinating book. I've been interested in stories from Hospice since my days working at a funeral home. I was always amazed at the caring atmosphere of the Hospice centers that I visited, and I'd love to read more about how these animals have contributed to these centers! 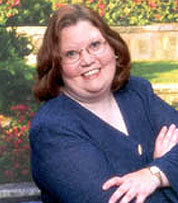 Hi Kelly - Of all the jobs that I've held in the healthcare field, hospice was my favorite. We didn't have a center, though. We went into people's homes, and that's how I got to know their pets. I do animal rescue and know how amazing animals can be, especially those given a second chance at life. Can't wait to read this. I would love to read this. I think animals are special little angels. Hi mom2gabnat - Animals are amazing, aren't they? I don't know what I'd do without my cats for companionship and comfort. Thank you for the opportunity. One of my dogs was a therapy dog and we had worked primarily with Alzheimer's patients in the past. It's amazing to witness first-hand the magic an animal has on the human spirit. I have a Pug who gos to the hospice every Sunday. She truly makes a difference. Our pets are so important to our lives! Thankyou for this giveaway. Happy Friday! Thank you for all your comments! We held a random drawing (via random-dot-org) for the winner of Debra Stang's fantastic book, Hospice Tails: The Animal Companions Who Journey with Hospice Patients and their Families, and the winner is... Suzy! Congratulations, Suzy! Please e-mail your mailing address to blogtour@wow-womenonwriting.com, and we will forward it to Debra for you. I see you left your e-mail addy, so we will also follow up via e-mail. For everyone else: thank you for your support and love for such a wonderful book. Make sure you check out the rest of the stops on this tour for more giveaways and inspiration from Debra Stang.